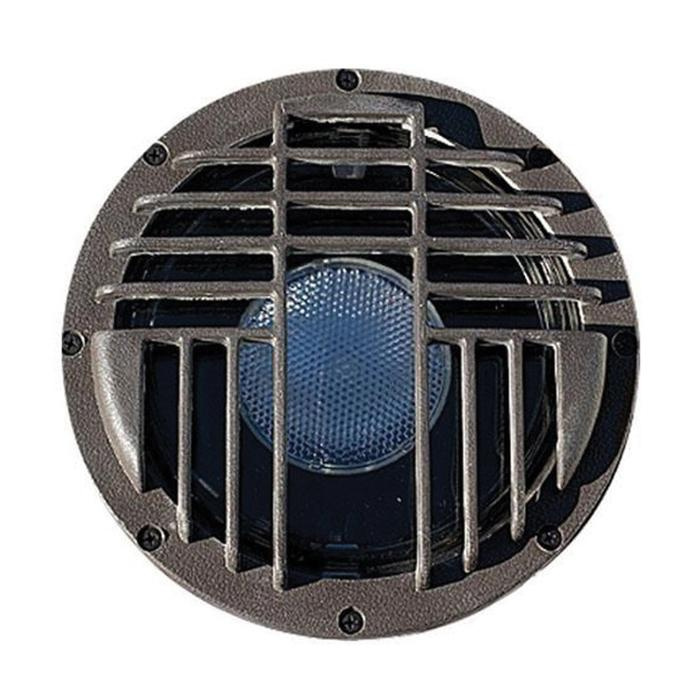 Philips Lighting In-ground luminaire in bronze finish, features 1-Piece compression molded fiberglass reinforced polyester composite construction. Clear convex tempered soda lime glass shade brings elegance to the home. Luminaire uses 100-Watt PAR/R20 incandescent lamp. Lamp has color temperature rating of 2700K/4000K. Lamp offers average life of up to 25000 hours. Porcelain mini-candelabra socket lamp has voltage rating of 120-Volts. Luminaire measures 11-1/2-Inch x 9-1/2-Inch Dia. In-ground luminaire is ETL/cETL listed and ADA compliant.